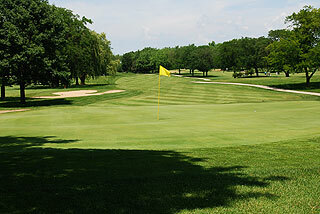 Built in 1926, St. Andrews is a public golf facility owned by the Jemsek-Hinckley family, which also runs Pine Meadows north of Chicago, and the famous Cog Hill complex in South Chicago. 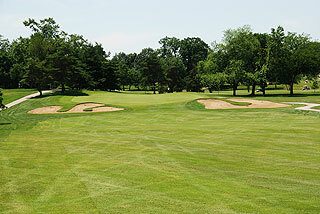 Dubsdread at Cog Hill hosted numerous PGA events.. The two 18-hole courses at St. Andrews feature lush, tree lined fairways, strategically placed sand bunkers, numerous water hazards and huge contoured greens. This property is famous for offering a private club experience at public course rates but has grown to include a list of facilities that boggles the mind. On property are four banquet rooms that can accommodate from 30 - 400 people, a cook-out and bar area on the front lawn, a Half Way House and Tee Side Grill, spacious men's and women's locker rooms with showers, two lounges, 2 pro shops, and a 32 acre practice center. The range features 80 grass and mat tee stations, and in season is open till 10 PM with lighted tee stations leading to four target areas. There are also two chipping greens with a sand bunker plus a practice putting green (for info on the St Andrews practice facility visit their page in our Chicago Golf Practice Facility section by clicking here). A variety of instructional programs including group clinics and private lessons can be arranged, and club fitting and repair are available. 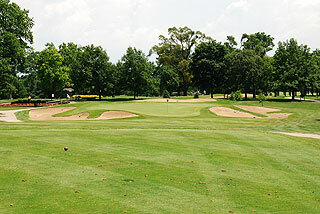 The golf course features a huge, separate putting green of its own. JJ's Restaurant/Lounge at St Andrews prepares lunch and dinner items daily from April 1st - November 1st (weather permitting). Finally - the pro shops, located in the clubhouse and at the practice center just a couple hundred yards away, provide the latest in brand name golf equipment and accessories, plus a nice line of golf sportswear. 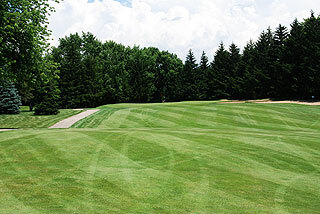 Both golf courses provide convenient marking systems, with color coded stakes located on the sides of the fairways on par fours and fives at 100, 150 and 200 (plus 250 on par fives). Pin placement is indicated by brightly colored flags with red meaning a front hole location, white - middle and yellow - back. It is a good idea to pay attention to the color of these flags, as the putting surfaces are generally oversized, and golfers will be challenged with some very long lag putts when landing on the wrong portion of the green. The undulations are quite mild, but the slopes are generally back to front, meaning shots hit past the hole will create a distinct possibility of a three putt. The Jemsek/Lakewood Course features 4 sets of tee boxes that measure 6770 yards/122 slope, 6358 yards/118 slope, 5831 yards/112 slope for men and 124 slope for women, and 5341 yards with a slope of 118. As the slope ratings indicate, this course is very playable - and the white tees are a good choice for the average player. There are 3 par fours of 400 + yards from these tees, but fairly wide, though tree-lined fairways are generally the norm. If your approach lands short - particularly on the opening holes, a bump and run chip from the level areas in front can often lead to a par save. The back nine is a bit more hilly, with elevated tees playing to raised greens often the case. Water comes into play on just four holes, but 44 sand bunkers, strategically placed greenside and along the fairways can cause some havoc. 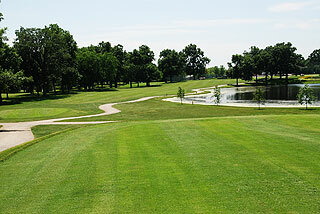 Most of the holes play fairly straight, with very gentle bends in either direction. On our visit, the fairways, tees, bunkers and greens were in fine shape. This layout can grow on a golfer, aesthetically and in the form of a challenge presented. It begins easily enough but offers more challenges as you get deeper into the round. The St Andrews Course also features 4 sets of tees, measuring 6920 yards/124 slope, 6418 yards/120 slope, 5703 yards/112 slope for men and 121 slope for women, and 5116 yards with a slope of 114. Though the slope ratings are just a tad lower on the St Andrews layout, we both agreed that it seemed to be the more challenging of the two designs. Like Lakewood, the # 1 Course starts out with some simple green complexes with wide, level areas in front of and on the sides of the putting surfaces. As our round progressed however, we found that intricate greenside bunkering, raised putting complexes and numerous mounds made a good short game that much more necessary. 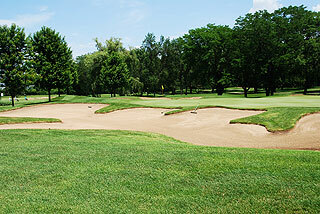 There are four water holes - two on each side, and 46 high quality and mostly large sand bunkers. More doglegs are also worked into the design of the St Andrews # 1 layout, with about an equal number of left to right and right top left shot shapes required. The landscaping on this course also seemed a bit more pronounced, as manicured shrubbery and expertly arranged flower beds were abundant. St. Andrews is conveniently located 1/4 mile north of North Avenue on Route 59, in West Chicago. With all the wonderful facilities, two quality designs (rated 3 stars by Golf Digest Places to Play), and excellent rates, either course at St. Andrews is a great value. This also is a great place to simply practice, or to take lessons. For more information on either course visit our web catalog of course in the Chicago area and click on the Jemsek/Lakewood # 2 or St. Andrews # 1 links. To visit the St. Andrews web site, click here.